Each year Americans start one million new businesses, nearly 80 percent of which fail within the first five years. Under such pressure to stay alive - Let alone grow - it's easy for entrepreneurs to get caught up in a never-ending cycle of "sell it - do it, sell it - do it" that leaves them exhausted, frustrated, and unable to get ahead no matter how hard they try. This is the exact situation Mike Michalowicz found himself in when he was trying to grow his first company. Although it was making steady money, there was never very much left over and he was chasing customers left and right, putting in twenty-eight-hour days, eight days a week. The punishing grind never let up. His company was alive but stunted, and he was barely breathing. That's when he discovered an unlikely source of inspiration - pumpkin farmers. After reading an article about a local farmer who had dedicated his life to growing giant pump­kins, Michalowicz realized the same process could apply to growing a business. 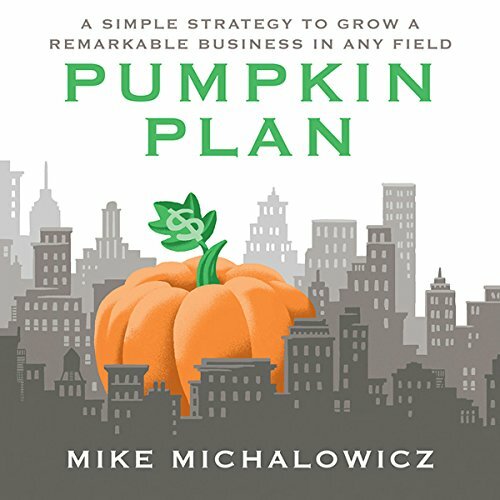 He tested the Pumpkin Plan on his own company and transformed it into a remarkable, multimillion-dollar industry leader. First he did it for himself. Then for others. And now you. Plant the right seeds: Don't waste time doing a bunch of different things just to please your customers. Instead, identify the thing you do better than anyone else and focus all of your attention, money, and time on figuring out how to grow your company doing it.